Had some friends return from Japan recently and they couldn’t stop talking about how clean and orderly everything was. 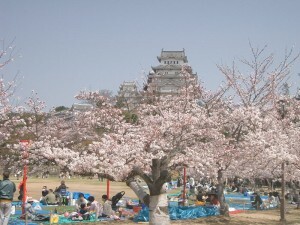 They were there for hanami, too, the Japanese ritual of going to a park to view the cherry blossoms. Then there’s my friend Eric. He just moved there. He’s having a different experience. We all have friends that just seem drawn to bad luck. Eric is one of those people. 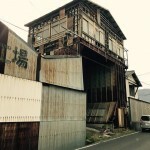 Here’s Eric’s photo from the neighborhood where he found housing in Japan. Eric previously resided in the East Village. Not much luck there either. One day he called his landlord. “I think the guy across from me died.” Took the landlord two weeks to investigate.